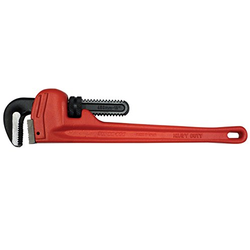 We offer a wide range of Pipe Wrench, Valve wheel wrench. 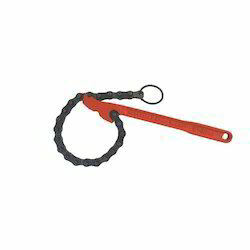 They are heavy duty that are especially used in the different engineering industries. We offer these in different size and shapes and also customize as per the specifications of the customers. 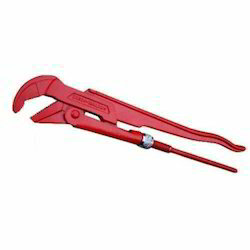 Our firm is involved in manufacturing and supplying a huge range of Inder Aluminum Alloy Pipe Wrench 339A. We design the given product following industrial standards by making use of best quality material and modern technology. 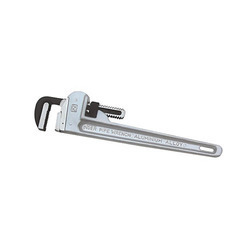 Our firm is involved in manufacturing and supplying a huge range of Inder Aluminum Alloy Pipe Wrench 339 C. We design the given product following industrial standards by making use of best quality material and modern technology. 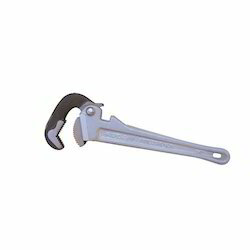 Our firm is involved in manufacturing and supplying a huge range of Inder Aluminum Alloy Pipe Wrench 339 D. We design the given product following industrial standards by making use of best quality material and modern technology. 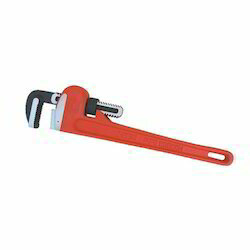 Our firm is involved in manufacturing and supplying a huge range of Inder Aluminum Alloy Pipe Wrench 339 B. We design the given product following industrial standards by making use of best quality material and modern technology. 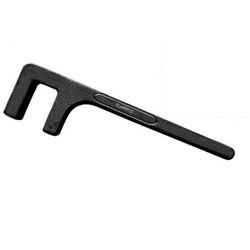 We are engaged in offering our clients a superior quality range of F type Valve Wheel Wrench. We design the given product following industrial standards by making use of best quality material and modern technology. We are a renowned name to offer Pipe Wrench is the base support to the inder safety rail system. 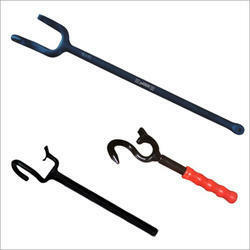 The most popular and heavy demand Pipe Wrenches General Purpose is made from Drop Forged tested steel and its high-tensile steel frame holds all these components together. 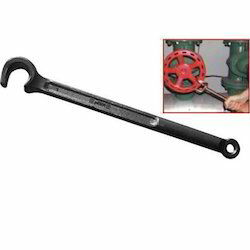 Our firm is involved in manufacturing and supplying a huge range of Rigid type Pipe Wrench. 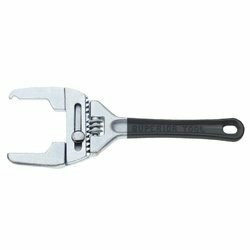 Our firm offers a high-quality range of Water & Gas Shutoff Wrench. It is manufactured using top quality materials and latest technology and tested under various quality parameters. 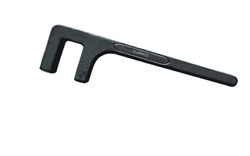 We are engaged in offering our clients a superior quality range of Swedish Pipe Wrench. We design the given product following industrial standards by making use of best quality material and modern technology. 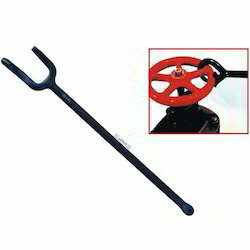 We are the leading manufacturers and suppliers of the Claw type Valve Wheel Wrench. It is used to open Valve. 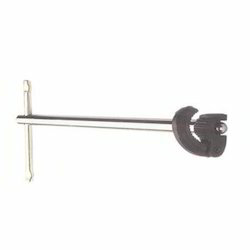 Our company has earned accolades in offering Drum Tap Wrench to the clients. Drum Tap Wrench is manufactured by utilizing premium quality raw material and modish technology by skilled professionals at process unit. This product is acclaimed among the clients for wide applicability and smooth operations. Offered range is available in variety of models and technical specifications to fulfill clients' necessities. 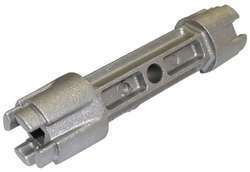 To add on, we are offering this Drum Tap Wrench at cost effective price. We use highly advance techniques for the processing of our product range. We are one of the leading names in the industry for offering best quality array of Adjustable Combo Wrench. The offered products are designed and fabricated by our skilled professionals with the use of optimum quality material and upgraded technology. In order to make sure their quality, our expert quality auditors carefully checked these products on varied parameters of quality. Our precious customers can avail these Adjustable Combo Wrench at affordable rates. Furthermore, this product is availed in various patterns, as per the varied needs of our valuable clients. 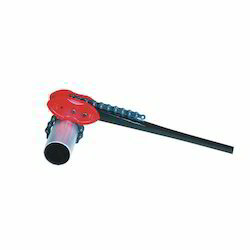 We are a highly acclaimed name to offer best quality Tub Drain Wrench that is known for its fine finish. Design to install and remove tub drains without scratching fine finishes. The only tool of its kind that can be extension from either end. Will also remove or install ½” square plastic toilet seat nuts. New, stronger design tested to 100 ft. lbs. of torque. 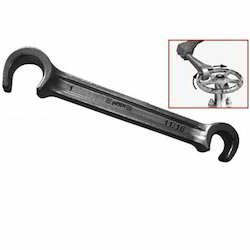 We are the leading and prominent Manufacturer, Exporter and Supplier of Refinery Wrench. 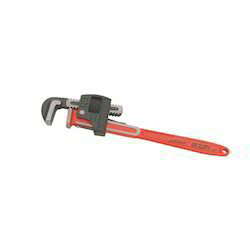 We offer Pipe Wrench, heavy duty, specially used in the oil, gas and civil engineering industries. Parts are interchangeable. High-tensile strong SG Iron casted handle and hardened tool steel parts are designed to work on Heavy Job.The entire range of the pipe wrenches offered by us is highly regarded for its robust construction and fine finish. Special Design Double open Valve Wheel wrenches also known as ( Valve Wheel wrenches) are used to provide leverage on hand operated valve wheels, permits a smooth snap Hammer action to make opening and closing valves easily without slippage when working in overhead or crowded positions. 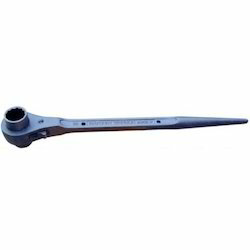 We have three models Sizes 8", 10", 17.1/2"
We are the leading manufacturers and suppliers of the Swedish Pipe Wrench. 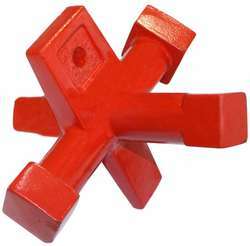 Size (Inch) 1/2" to 24"
Special design super design valve key is used to leverage on hand operated valve wheel permits a smooth snap hammer action to make opening and closing valves easily without slippage when working in overhead or crowded position.